MPs were warned they may have made an ‘accidental No Deal’ more likely after they demanded a further Brexit delay last night. 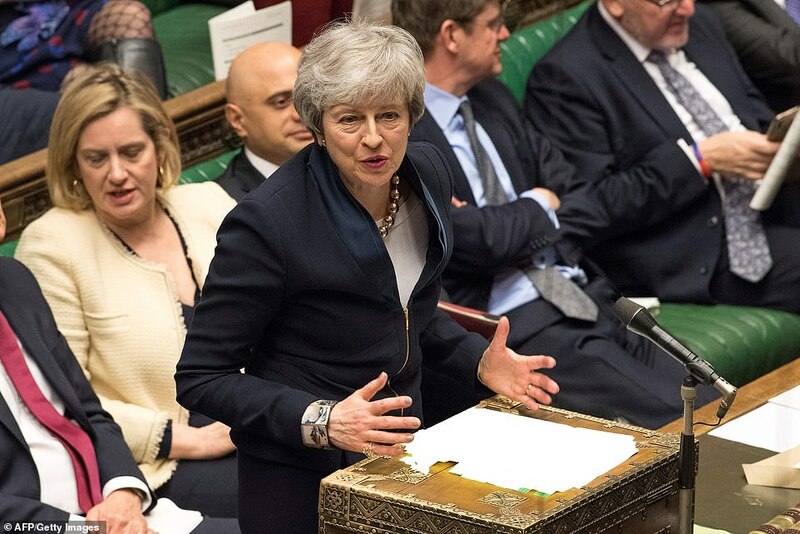 The Commons hurried through a bill, which passed by just one vote, forcing the Prime Minister to seek an extension if she cannot agree a deal with Jeremy Corbyn. The backbench bill was meant to prevent a No Deal Brexit on April 12, but Brexit minister Robin Walker warned it could have the opposite effect. Last night’s vote means that if the PM fails to make a deal with the Labour leader she will have to ask the EU for more time – which then has to be agreed by MPs with a vote. The PM would be expected to get an extension with the EU at a European Council meeting on April 10 and MPs would vote to support it the following day. However, Mr Walker warned that this would not leave enough time time to complete the necessary paperwork before the UK is scheduled to leave the EU on April 12. Speaking in the Commons, Mr Walker said he feared an accidental No Deal on April 12 if there was not enough time to complete these extra steps. The Brexit minister said there is a ‘real risk created by this bill that we could be timed out’. He said the Bill ‘actually increases the likelihood of an accidental No Deal – an outcome which this House has repeatedly voted against’. He said: ‘For example, on April 10, the EU could propose an extension of an alternative length. ‘Under this Bill the PM must then return to this House to put forward that proposal. ‘But by April 11, by the time this House has had time to consider that, the Council would be over. ‘We would need to confirm UK agreement to the EU proposal and get an EU council decision before 11pm on April 12. 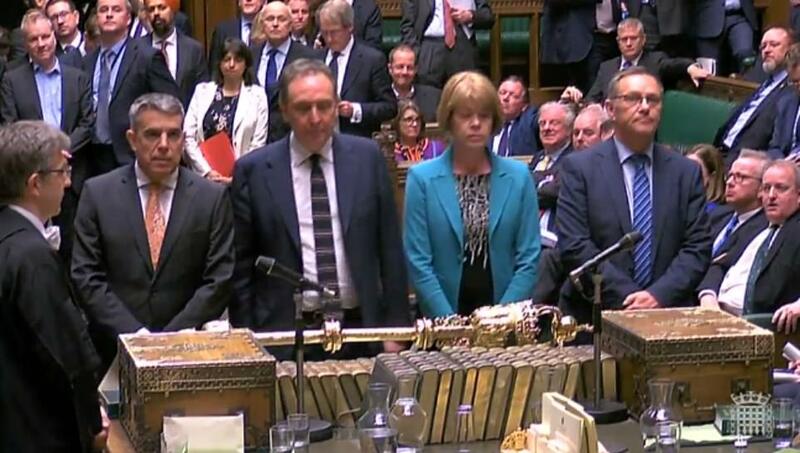 Mr Walker’s intervention came during an historic and dramatic day in the Commons where a series of knife-edge votes saw the backbench bill pass resulting in Mrs May being cornered by MPs and forced to seek an extension rather than risk No Deal. The first vote was at 7.20pm when the Commons backed the bill by five votes, 315 to 310. MPs then rejected a series of amendments and took a final vote shortly before 11.30pm when they passed the bill by 313 to 312. Today it will be rubber-stamped in the House of Lords after it was hurried through the Commons in what the bill’s opponents called a ‘constitutional outrage’. Legislation usually takes weeks or months to pass through Parliament but MPs last night tore up the rules to rush it through. It is also unusual for a bill to pass through the Commons if the Government does not support it. 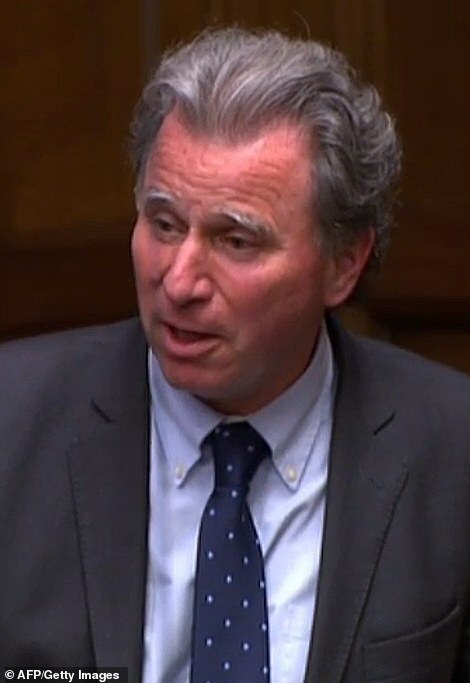 The bill, proposed by Conservative MP Sir Oliver Letwin and Labour’s Yvette Cooper, was intended to make the prospect of a No Deal Brexit much less likely. The attempt to wrestle control of Brexit by the cross-party Remainers sparked fury among Brexiteers. Mark Carney has rubbished claims that Britain could have a managed No Deal Brexit where there were no trade barriers with the EU. The Bank of England Governor dismissed as ‘absolute nonsense’ assurances by Hard Brexiteers that disruption could be avoided if we leave without an agreement. And he warned the danger of No Deal happening by accident is now ‘alarmingly high’. The comments will be seen as a veiled attack on his predecessor Lord Mervyn King, who last week said No Deal was his preferred option. 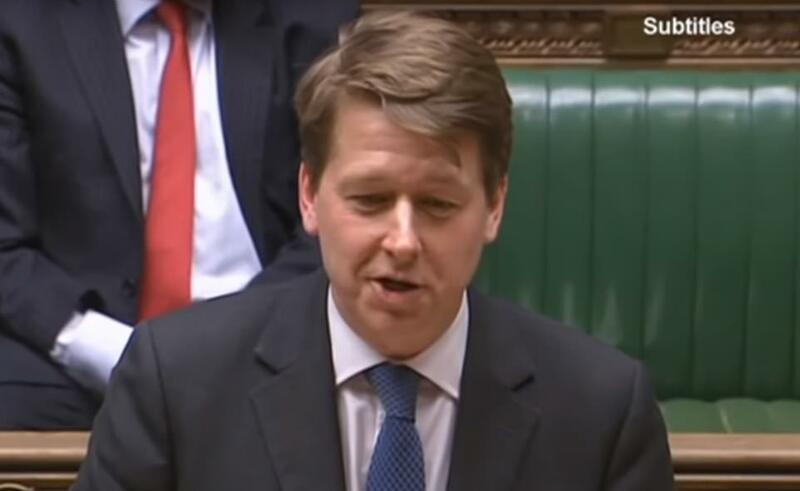 European Research Group Tory Mark Francois said it was a ‘constitutional outrage’ that the law had passed the Commons in little more than four hours. And Eurosceptic Bill Cash said it amounted to ‘supplication to the EU’ – begging – which he said would be a ‘profound humiliation for the British people’. 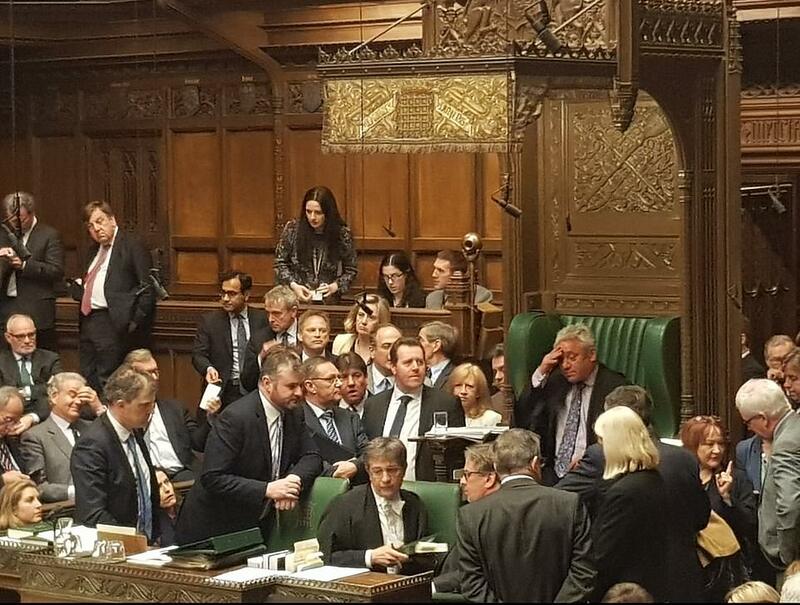 The closeness of the vote suggests that many MPs are uneasy at the backbench attempt to force the Prime Minister’s hand, or see it now as slightly less powerful given events elsewhere. Jeremy Corbyn had demanded ‘a customs union with the EU’ in his face-to-face Brexit showdown with Theresa May, as Tory anger over the meeting threatened to explode into civil war. The hard-Left Labour leader pronounced his first Brexit discussions with Mrs May ‘useful but inconclusive’, and complained that there ‘hasn’t been as much change as I expected’. He confirmed he raised the idea of a second referendum and said technical talks on finding an end to the Brexit impasse would continue on Thursday morning. As well as a customs union Mr Corbyn said he and Mrs May had discussed ‘dynamic regulatory alignment’ with the trade block that would see Britain retain minimum standards on ‘the environment as well as consumer and employment rights’. The opposition leader said he also raised the issue of a confirmatory public vote on any Brexit deal with Mrs May. The group behind the Bill, which also includes former Tory chairwoman Dame Caroline Spelman, Commons Brexit Committee chair Hilary Benn, former attorney general Dominic Grieve and Liberal Democrat Norman Lamb, hopes it will be approved by the Lords today and granted Royal Assent in time for the EU summit. Ms Cooper, speaking at second reading, said her Bill was still needed because although the PM has signalled she wants to extend Article 50 ‘there is no clear process of how those decisions will be taken’, adding her Bill ‘adds some clarity’. 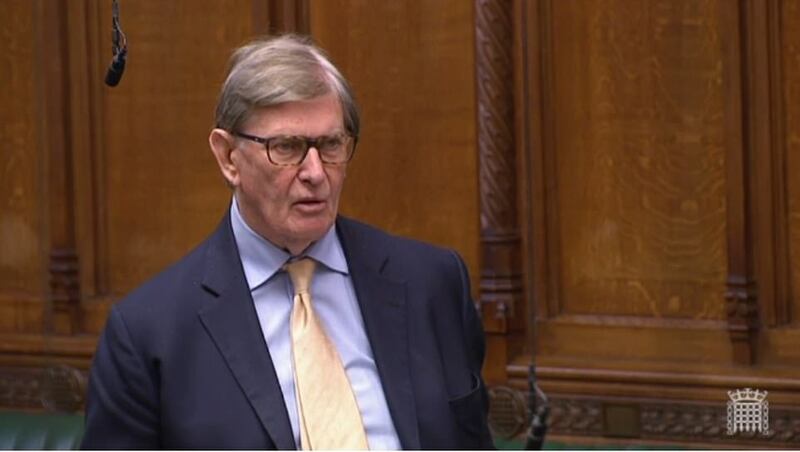 But Tory Sir Bill Cash, chairman of the European Scrutiny Committee, said the Bill would amount to ‘supplication to the EU’. He added: ‘As I and others have made clear over the years, it will be decided by Germany, in the council of ministers, and the European Council. Veteran Brexiteer Mr Cash complained the idea was ‘unconstitutional’ yesterday and urged the Commons Speaker to block it. But John Bercow told him pushing through laws in a single day was ‘not particularly unusual’ in itself, pointing out the Government does so in an emergency. 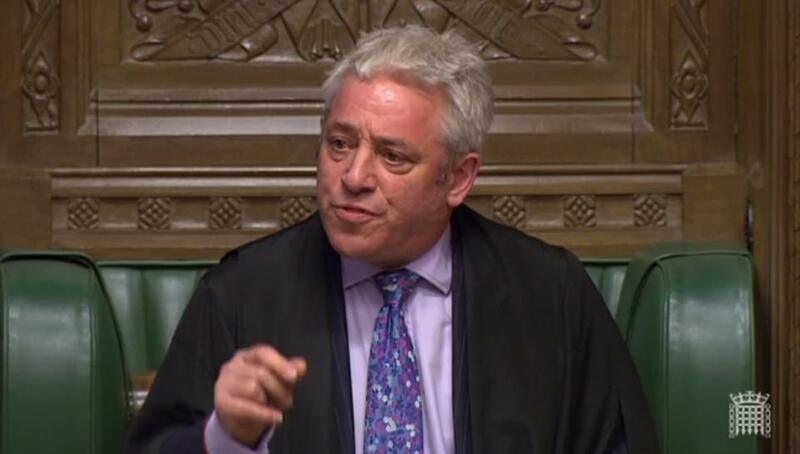 John Bercow had earlier broken a tie to rule against holding a third round of indicative votes on Brexit on Monday. MPs were tied for the first time in decades after they voted 310-310 on the proposal. 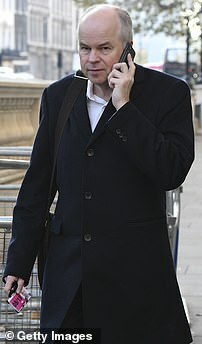 Labour’s Hilary Benn had tried to amend the rules of the House to stage more votes on alternatives to Mrs May’s Brexit deal – in defiance of Tory rebel Oliver Letwin, who has masterminded the way backbench MPs seized control from the Government. Mr Bercow said he had to use his casting vote – for the first time in his nine years as Speaker – against the move. The Speaker’s decision is helpful to the Government which may need Monday’s time in the Commons to debate and vote on a new Brexit plan. It was the first time since 1993 that a Speaker has broken a tie in the Commons. On that occasion, the result was later changed after a recount. The last successful tie breaker was cast in 1980 on a vote on whether to allow TV cameras into the Commons for the first time. Another vote on whether yesterday’s rebel control of the Commons could go ahead was won by 312 votes to 311. Of last night’s legislation, the Leader of the House of Commons Andrea Leadsom said: ‘The Government regrets the position that Parliament is in today. ‘Not only does it challenge again our constitutional conventions, but it offers Parliament hardly any time to consider, let alone to debate, the legislation before us. ‘The people of the UK rightly expect our democracy to be upheld at all times and for our democratic institutions to take their responsibilities seriously. JACK DOYLE: So what DOES Labour want from Theresa in return for their backing on Brexit? Until now, Theresa May has said the UK will leave the European Union‘s customs union. The customs union eliminates duties – or tariffs – between member states, while EU countries impose a common external tariff on imports from non-members. But the customs union also allows the EU to strike trade deals on behalf of all its members. The Prime Minister made leaving the customs union a ‘red line’ in her negotiations due to her desire to strike independent trade deals with other countries – such as the USA. Remaining in the union would stop this because the UK would be barred from reducing its tariffs on imported goods from other countries. They could only strike deals in the services sector – however this does make up a vast part of the modern UK economy. Jeremy Corbyn wants a permanent customs union. He says it will help protect existing trade between the UK and EU, in particular that of manufactured goods which relies on complex supply chains – links which can break down if goods are delayed at the border. Labour also says that remaining in the customs union will help keep trade flowing freely between Northern Ireland and the Republic without the need for the so-called ‘backstop’. Mr Corbyn claims his proposal does include the UK having a say on future trade deals negotiated by the EU and affecting the UK. But this is something Brussels has apparently ruled out. Despite all this, senior Tory ministers were out in force yesterday preparing the ground for a customs union compromise. Attorney General Geoffrey Cox argued that the customs union might be needed to get out – claiming the UK could leave at a later point and a customs union would not be a ‘permanent straitjacket’. Under Mrs May’s deal, the UK agrees not to row back on existing EU rules on workers’ rights – such as the Working Time Directive which limits working hours – after we leave. But Mr Corbyn wants to go further and is demanding ‘dynamic alignment’ – meaning any future government would agree to accept any employment laws and trade union rules passed by the EU in future, regardless of Parliament’s wishes. So what if the EU agreed to a four-day working week, or passed other regulations which would erode competitiveness? Mrs May claims to be a champion of workers’ rights, so this is an area she could argue is consistent with her approach, even if it limits the UK’s ability to set its own course in future because we are tied to Brussels diktats. In theory, the parties are not far apart on free movement – one of the central issues of the referendum campaign. Vast numbers of Labour voters backed Leave because they oppose uncontrolled immigration. This was reflected in Labour’s manifesto which said free movement will end after we leave. For Mrs May, ending free movement is her reddest of red lines. But Labour policy on what migration policy should replace free movement is significantly more liberal than Tory policy. In particular, the Opposition is against the proposed £30,000 minimum earnings requirement for post-Brexit working visas. Could Mr Corbyn demand this is scrapped and a lower earnings threshold imposed? PUBLICLY, Downing Street officials have not ruled out agreeing to a second referendum. Yet if anything is a deal breaker, it is a demand for another Brexit vote. The whole point of the talks with Mr Corbyn – and the reward for Mrs May enduring civil war in the Tory Party – is that Brexit goes through in short order with Labour backing. But a second referendum, with Remain on the ballot paper, would require a Brexit delay of at least a year and the UK taking part in MEP elections next month – both currently unacceptable to Mrs May. On Mr Corbyn’s side, the second referendum is the issue which divides his Shadow Cabinet, MPs, activists and voters like no other. Agree to a deal without one and the Remainers in his party will be livid. Jeremy Corbyn demanded ‘a customs union with the EU’ in his face-to-face Brexit showdown with Theresa May, he revealed last night as Tory anger over the meeting threatened to explode into civil war. He confirmed he raised the idea of a second referendum and said technical talks on finding an end to the Brexit impasse would continue this morning. But just minutes later, amid simmering Tory tensions over the meeting, Attorney General Geoffrey Cox sought to placate angry MPs by suggesting a soft withdrawal might not be the end of the world, because we could later quit any customs union arrangement. Mr Cox told the BBC: ‘If we decided, in some considerable years time, that we wanted to review our membership of any such customs union if we signed it – and I’m not saying we will – that’s a matter for negotiation and discussion. The opposition leader said he raised the issue of a confirmatory public vote on any Brexit deal with Mrs May. ‘I said this is the policy of our party, that we would want to pursue the option of a public vote to prevent crashing out or to prevent leaving with a bad deal,’ he said. 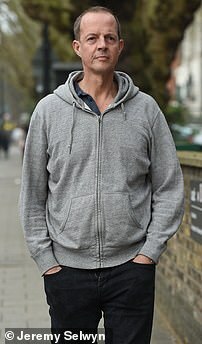 Ex-Tory MP Nick Boles tonight blasted Theresa May’s comms chief Robbie Gibb, claiming the ex-BBC journalist was ‘a hard Brexiter’ who wanted her ‘search for a cross party compromise’ to fail. The Grantham MP, who resigned the Conservative whip on Monday night over Brexit, said the Prime Minister should tell Mr Gibb, her director of communications, to ‘get back in his box – or go back to the BBC’. His Twitter outburst came after Mrs May had met Labour’s Jeremy Corbyn for ‘constructive’ talks on a soft Brexit compromise. Mr Boles, who dramatically announced he was quitting the Tories in the Commons after the party helped block his soft Brexit plan, which included a customs union, wrote: ‘I am no longer a member of the Conservative Party. So I can be blunt where previously I might have been discreet. ‘The PM’s head of communications Robbie Gibb is a hard Brexiter who wants to destroy the PM’s new search for a cross party compromise. 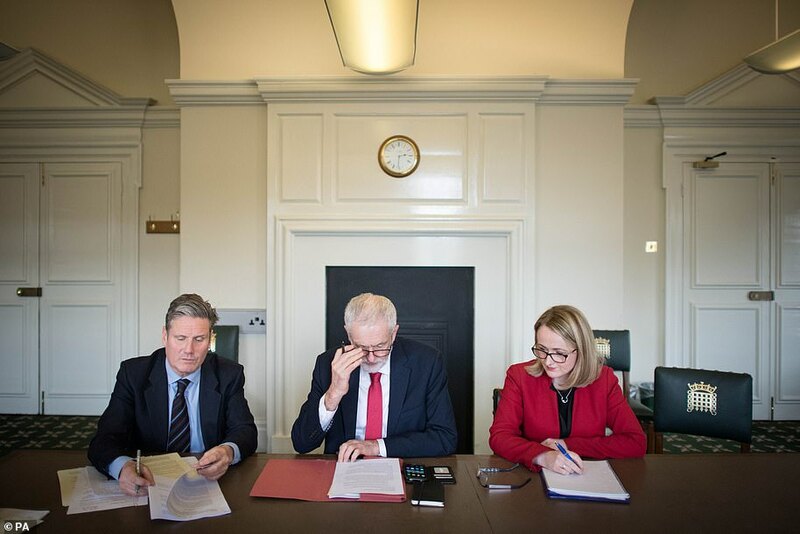 The meeting came late on a day which saw two two Tory ministers resign in disgust, with MPs demanding a new secret ballot on Theresa May’s leadership today after she chose to hatch a Brexit deal with Jeremy Corbyn rather than leave the EU with No Deal on April 12. The Prime Minister has enraged her party by abandoning hopes of persuading hardline Brexiteers and the DUP to back her deal and instead offering talks with the Labour leader on delivering a softer Brexit. Mrs May and Mr Corbyn were locked in talks for around two hours amid fevered speculation they could agree on a customs union plan that would end hopes of post-Brexit trade deals. Both Labour and Downing Street said the meeting was ‘constructive’. Aides will meet further later before intensive negotiations today. 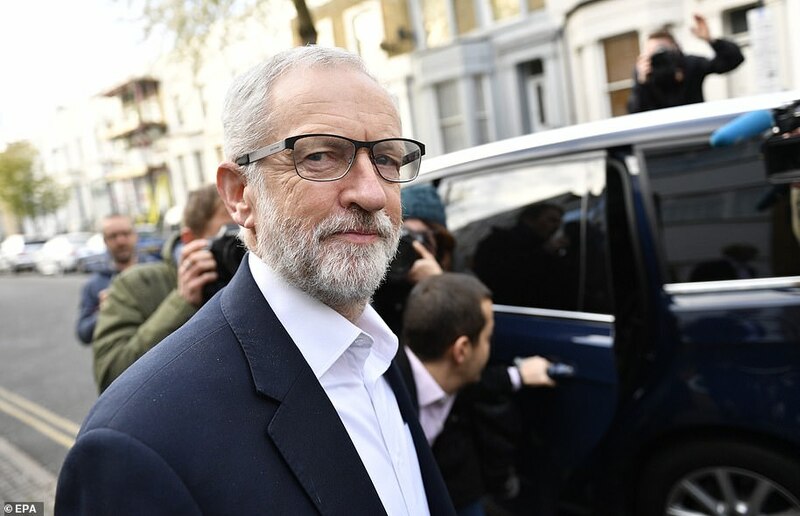 The talks also put Mr Corbyn on collision course with his shadow Foreign Secretary, Emily Thornberry, who earlier demanded that any deal reached must be put to a public vote. She wrote to MPs ahead of a meeting of Mr Corbyn’s front benchers tonight, saying: ‘(I’m) assuming one of the main topics of discussion will be whether to insist that any planned compromise deal we agree to support will be subject to a confirmatory public vote, with ‘Remain’ as the other alternative. Since the meeting was called dozens of irate grassroots Tory members have been cutting up their memberships in protest and posting pictures of their destroyed cards on social media. 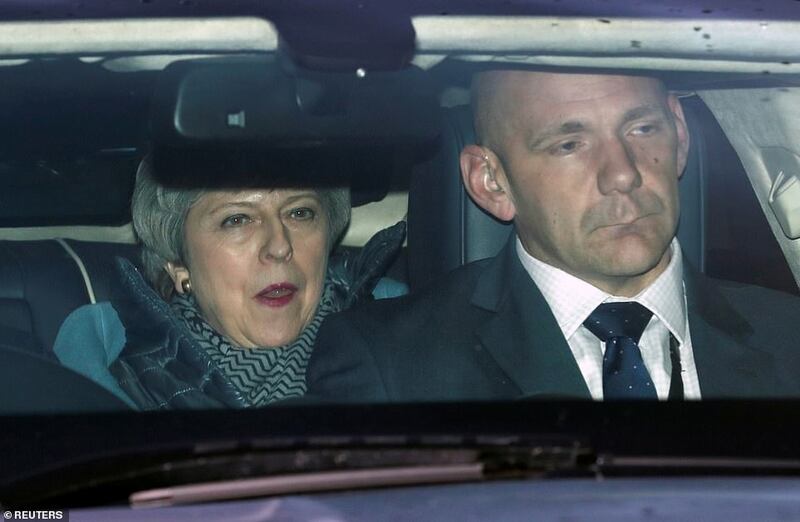 Today Mrs May was bombarded with hostile questions from her own side at Prime Minister’s Questions and as she met with the Labour leader this afternoon junior Brexit minister Chris Heaton-Harris, who was tasked with planning for No Deal, resigned. The Daventry MP said: ‘You don’t want to quit the EU without a deal, and that makes my job irrelevant’. Last night Mrs May said he had done ‘crucial work’ to prepare the country for No Deal and thanked Mr Heaton-Harris for his service. Earlier yesterday Nigel Adams, the junior Wales Office minister, became the first to quit over the concessions to Mr Corbyn and told Mrs May: ‘It now seems that you have decided a deal – cooked up by a Marxist who has never put British interests first – is better than No Deal’.